Security Memetics: how is this news? thanks to ryan naraine for tweeting this absurd 'news'paper headline (and for the title). 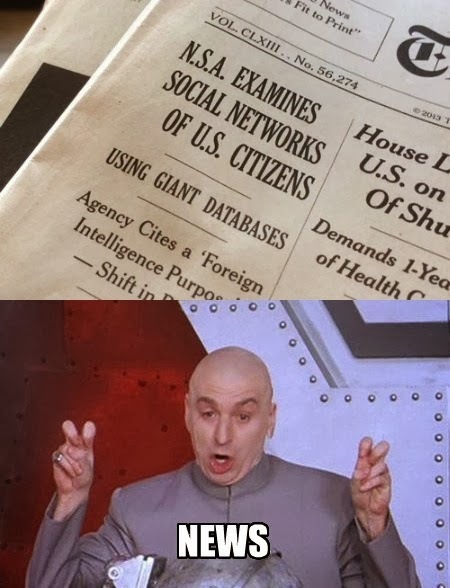 of course the government is examining your social network data. we heard about them gathering data from facebook months ago. that was part of the whole prism brouhaha. then there's the phone metadata whose primary utility is in mapping social connections.